EAA AVIATION CENTER, OSHKOSH, Wisconsin — (February 27, 2019) — EAA AirVenture Oshkosh, long known for showcasing the latest flight technology, welcomes cutting edge innovation to this year’s event with the addition of the Urban Air Mobility Showcase as part of the “World’s Greatest Aviation Celebration.” The showcase is part of Aviation Gateway Park at the 67th annual Experimental Aircraft Association fly-in convention, to be held July 22-28 at Wittman Regional Airport in Oshkosh. 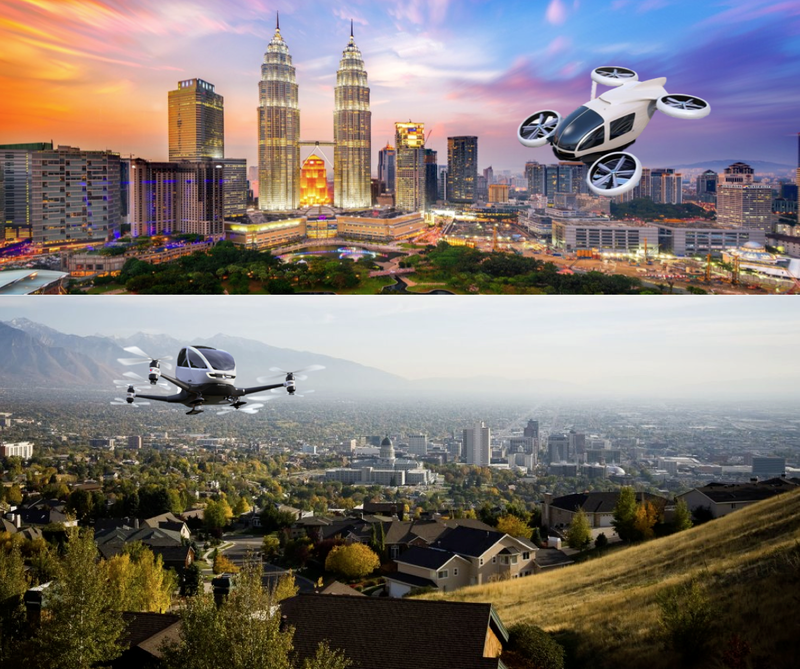 Sponsored by TransportUP – The Latest News for Urban Aviation, EAA’s Urban Air Mobility Showcase will highlight autonomous air vehicles, hover bikes, personal air vehicles and leader VTOLs (Vertical Takeoff and Landing vehicles). There are also scheduled speakers, forums, and an executive roundtable that brings industry leaders together to discuss the rapid evolution of this technology. The Urban Air Mobility Showcase is one of the four featured areas at EAA’s Aviation Gateway Park, which also encompasses the Aviation Innovation Showcase, the Education and Career Center, and the Park’s forum pavilion. The focus throughout Aviation Gateway Park is on innovation and possibilities within the world of flight. Complete schedules of forums and activities, as well as participating companies, will be announced as they are finalized. 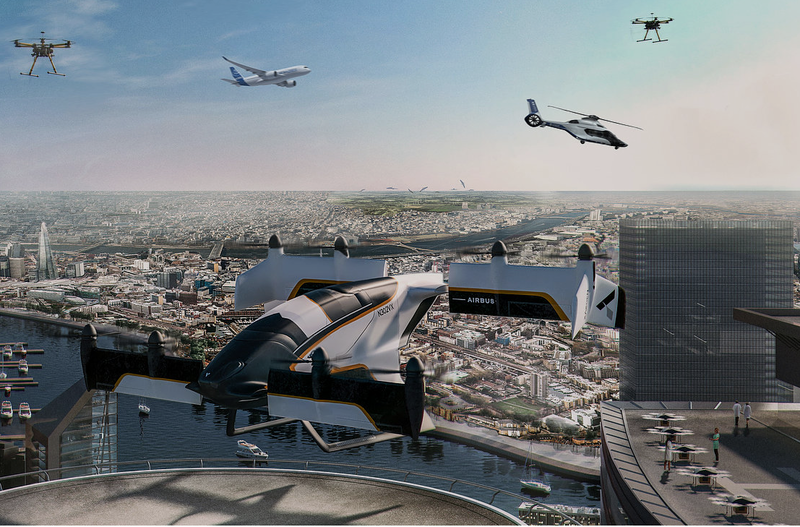 TransportUP is committed to sharing the progress of the democratization of aviation and the advancement of urban air mobility with the world. 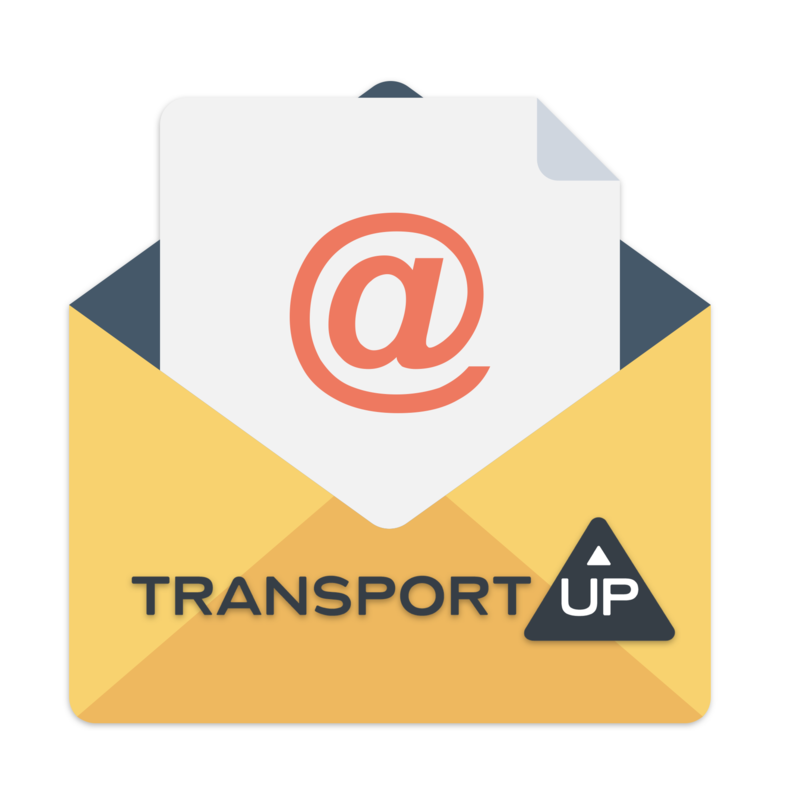 Through events, partnerships with industry stakeholders, and internal research and analysis, TransportUP serves as one of the only syndicates for information in existence for Urban Air Mobility, and is fostering the ideal environment for knowledge sharing. 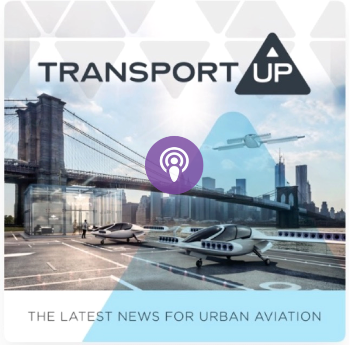 TransportUP hosts an Urban Aviation Podcast and Urban Aviation Newsletter that overview the latest progress in the UAM industry and document the most important developments for the disruptive industry of urban aviation. Learn more about TransportUP at www.transportup.com or visit on Facebook and Instagram. In Vahana’s latest test flight, the vehicle exhibits the capabilities of its tilting wing, transitioning from vertical take-off to horizontal flight. The above video comes from Zach Lovering, project executive for Vahana at A³. 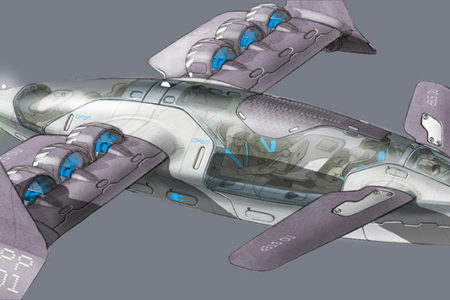 The Vahana takes off vertically, tilts its wings for transition into horizontal flight, stops, turns around, and lands. The aircraft flies for 7 minutes at speeds up to 57mph, and altitudes of up to 210 feet. In a recent Vahana blog post, Lovering mentions that these flights are for testing flight controls, navigation, failure detection, and noise mitigation. While the full-scale model has flown 50 test flights, the sub-scale version has flown 1,277 flights. The full-scale version made its first test flight on January 31st, 2018. Vahana Alpha Two on the Pendleton, Oregon UAS runway, February 2019. In the last few months, many top aircraft manufacturers have released vehicle footage to the public. 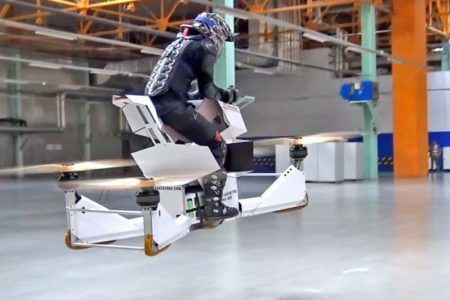 Most recently Boeing showed its ‘Personal Air Vehicle’ (developed in collaboration Boeing’s subsidiary Aurora Flight Sciences) taking off, hovering, and landing autonomously. Bell Helicopter brought the ‘Nexus Air Taxi’ to CES 2019 last month, where fans got the chance to sit in the vehicle itself. 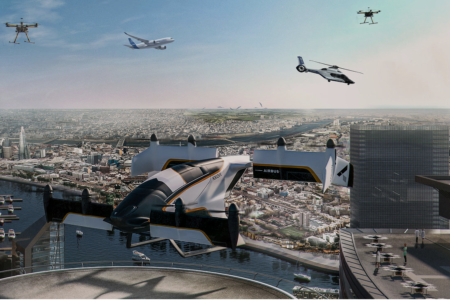 Airbus has made progress in of many aspects of Urban Air Mobility, having recently released the blueprint for Airbus Altiscope, an airspace management system, and a small-scale prototype of its Pop.Up Next vehicle in collaboration with Audi. 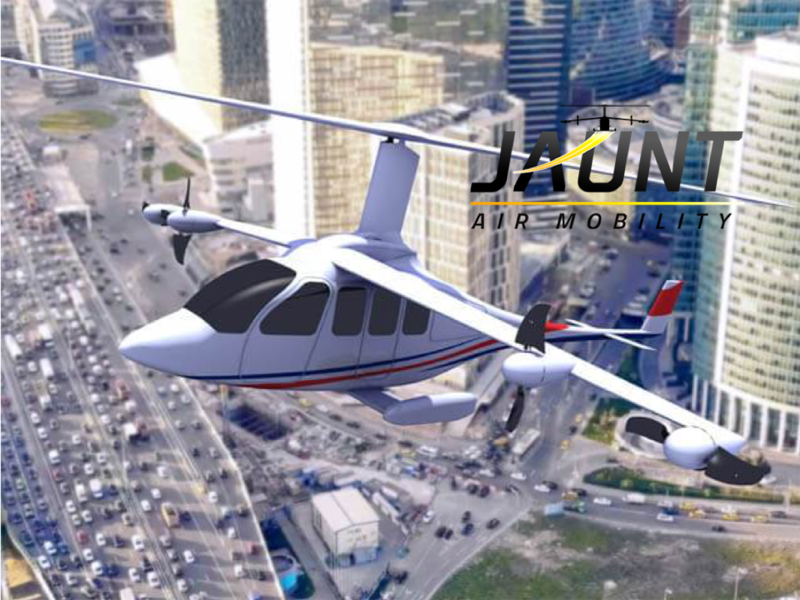 While it’s yet unclear whether Airbus will pursue one of these avenues or all of them, the company has certainly staked its claim on air taxis with the Vahana’s latest test video. Why it’s important: With the release of the latest Vahana flight video featuring the aircraft in flight for 7 mins at speeds up to 57mph, Airbus marks its place among the recent flood of prototype videos released by major companies like Boeing and Bell Helicopter. The video features the Vahana transitioning from vertical to horizontal flight, which Boeing has named as, ‘typically the most significant engineering challenge for any high-speed VTOL aircraft’. 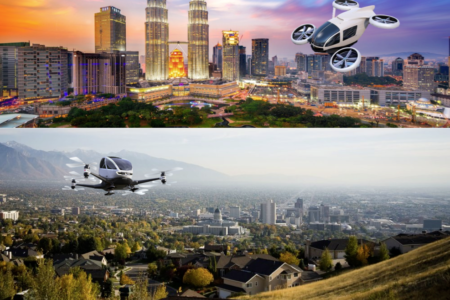 Utah and Malaysia are starting to invest in Urban Air Mobility for their cities, with Utah predicting a 2023 start to the industry. 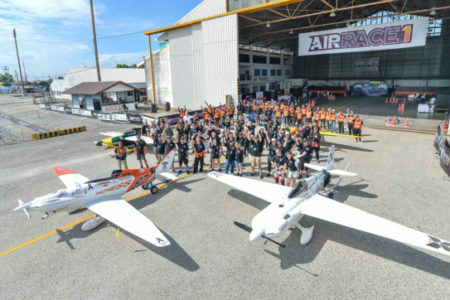 Malaysia meanwhile has claimed to have already made a prototype air taxi with aid from the private sector, saying that they will showcase the vehicle to the public later this year. 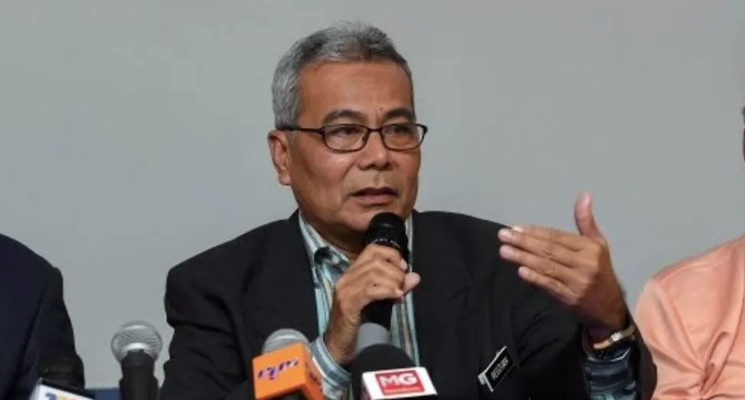 Malaysia plans to locally source the design and production of the prototype but for help with safety issues from international consultants. 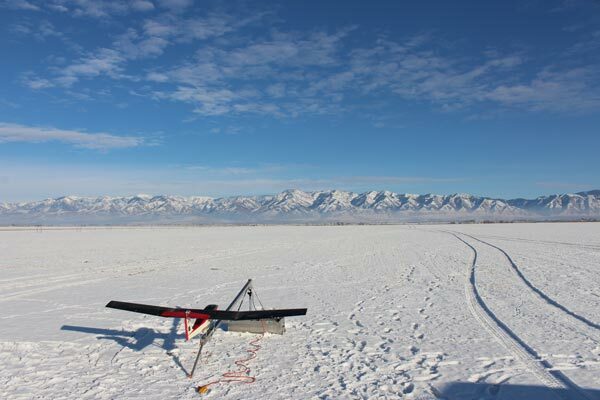 Why it’s important: With Malaysia developing a UAV prototype and Utah investing in UAV infrastructure development, the UAM industry takes steps forward the world over. UAM is not just a topic on the minds of countries in Europe and the U.S, but on those of every country worldwide. With so many countries investing in the industry, indications of booming growth only continue in their prevalence. Source // Mashable, ChannelNewsAsia, UtahPolicy.com, Desert UAS, Ehang, and Open Access Government. Air Taxi Certification Isn’t Impossible. Here’s what the FAA, EASA, and other agencies are doing to help. Regulatory agencies may be given a hard time for not “accommodating” new aircraft certification requirements, but they’re working harder than you’d think to ensure the safety of soon-to-be certified eVTOL aircraft worldwide. 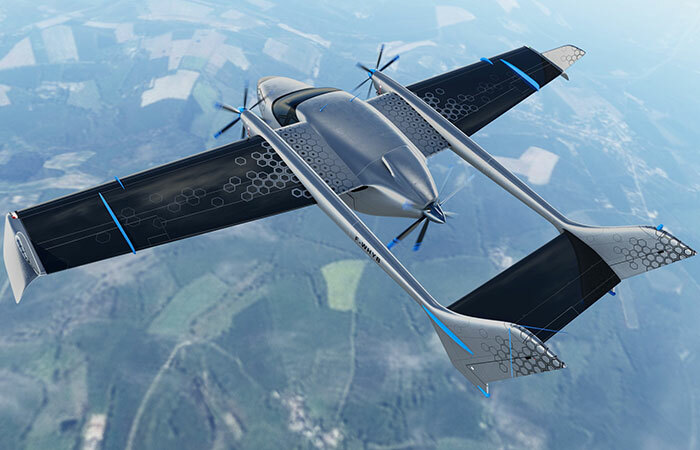 So what, then, have regulatory bodies such as the FAA, EASA, and others done to prepare for this onslaught of leading-edge technology-laden eVTOL aircraft, some of which are completely autonomous? More than you’d think. On August 30th, 2017, the FAA amended 14 CFR Part 23 — Airworthiness Standards for General Aviation airplanes. 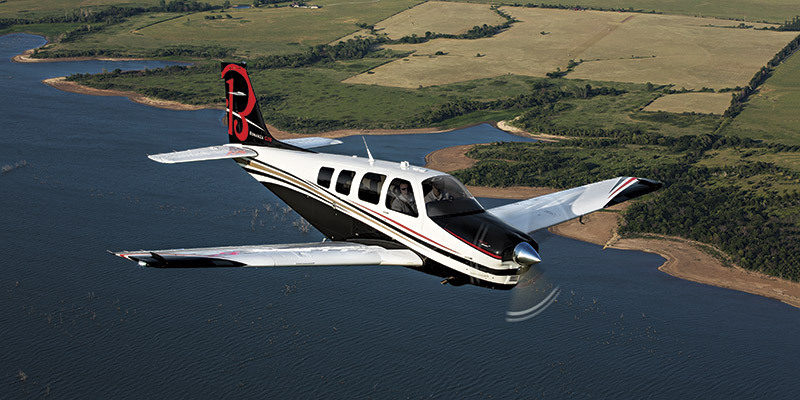 In July of 2018, the FAA “issued 63 means of compliance (MOCs) for Part 23 that will foster faster installation of innovative, safety-enhancing technologies into small airplanes, while reducing costs for the aviation industry.” Accompanying these changes are Advisory Circular AC 23.2010–1, which provides direction for compliance methods for 14 CFR Part 23. Specifically, the new part 23 revolutionizes standards for airplanes weighing 19,000 pounds or less and with 19 or fewer passenger seats by replacing prescriptive requirements with performance-based standards coupled with consensus-based compliance methods for specific designs and technologies. The rule also adds new certification standards to address GA loss of control accidents and in-flight icing conditions. A large number of UAM aircraft fall into the weight and passenger categories above, and while they’re weren’t as many full-blown eVTOL prototypes in existence in 2017, they numbered in the 10’s. Overhauling this Part also included provisions for “harmonization” among other agencies, such as Transport Canada and Brazil’s National Civil Aviation Authority. These provisions streamlined the process for demonstration of equivalency (which reduces or in some cases replaces the need for OEM’s to certify with multiple agencies through dedicated testing). EASA’s Proposed Special Condition for VTOL Certification notice is the result of the realization that VTOL certification standards are not, and never were, specifically constructed for the purposes of certifying the VTOL aircraft that are being designed, manufactured, and tested today. While the mechanics of flight have not changed for these aircraft, the traditional certification guidelines that supported either fixed-wing or rotorcraft certification do not wholly apply to current VTOL configurations. VTOL designs from 2010 onward will have two key differences from traditional aircraft designed before 2010. 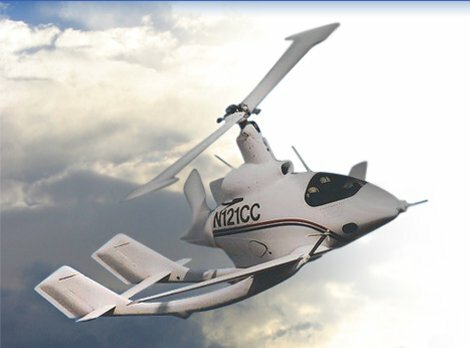 They may not be able to auto rotate as a rotorcraft would in emergency power failure situations, and their distributed propulsion systems have new failure modes that have not been completely explored to the point where certification guidelines can encompass the vast majority of VTOL propulsion configurations. EASA’s special condition for VTOL certification is currently proposed in a similar spirit as recent amendments to EASA’s code of regulations have been established, such as CS-23, Amendment 5, which describes performance or objective based technical specifications. EASA specifies VTOL certification for small (5 passengers or less, with MTOW < 2,000 kg) aircraft in this special condition issuance, meaning that other aircraft that exceed either the maximum takeoff weight and/or the passenger count criteria are excluded from certification under this special condition. Category Basic: aircraft capable of an emergency landing after critical malfunction of thrust/lift. Note: all air taxi operations will thus be certified under the Enhanced Category per this proposed regulation. In general, the enhanced category has requirements for safety of flight during all phases of a typical mission while a “thrust/lift unit” has critically malfunctioned. This special condition notice has not been confirmed or finalized, and EASA is still collecting feedback on their proposed regulations. 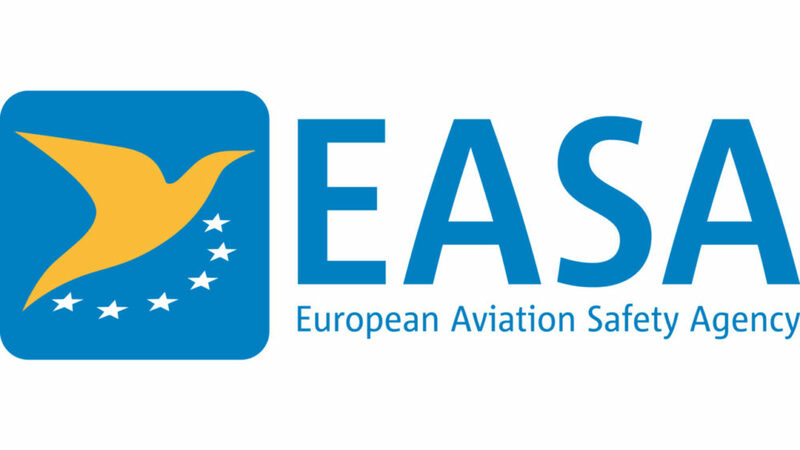 The feedback form, along with the native version of the Special Condition notice are available on EASA’s website here. There are other notable approaches to the regulatory challenges of certifying UAM aircraft, such as China’s pilot program that has authorized limited passenger carrying operations for eVTOL’s in Guangzhou and Taizhou. This pilot program has provisions included for testing not just passenger Air Autonomous Vehicles (AAV’s) but also drones for medical, surveying, and mixed applications. In New Zealand, the Civil Aviation Authority (CAA) is working with companies such as Kitty Hawk to define a set of certification standards that are more tailored toward eVTOL aircraft, and autonomously operated, fixed-wing aircraft as well. Zephyr Aero, the operator of Cora, has announced that their partnership with Air New Zealand to provide commercial air taxi services. The approach that EASA is adopting for UAM certification is fundamentally different than some other regulatory bodies, including the FAA. While CFR Part 23 should not require significant restructuring to allow for the certification of eVTOL’s, EASA is indicating with the issuance of their special conditions that a more tailed approach to certification may be more advantageous, despite the additional effort required to stand up this regulatory framework. The FAA’s overhaul to 14 CFR Part 23 in 2017 was a dynamic approach to a certification process that is rigid. 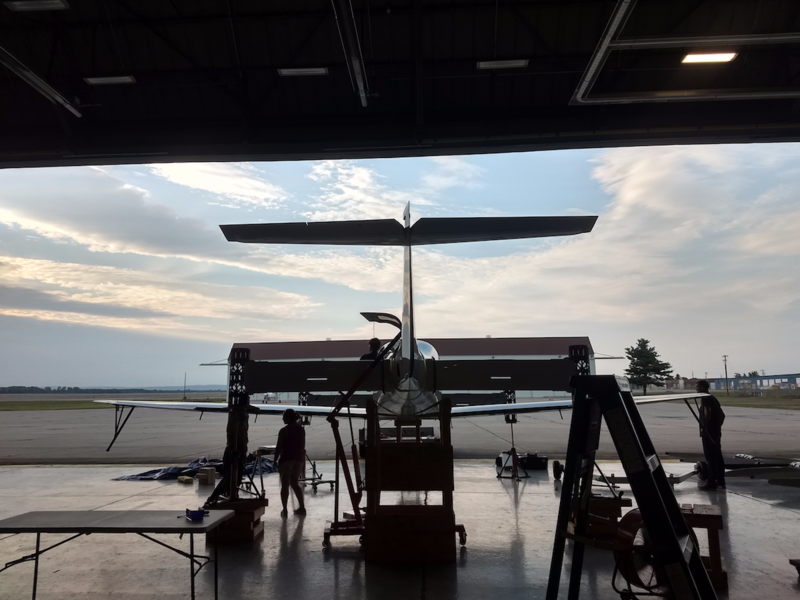 Part 23 included provisions for future innovation, as stated by the FAA, and provides flexibility and harmonization provisions to ease burdensome, duplicated certification requirements. Other approaches, such as the CAA working directly with OEM’s and the CAAC’s pilot program in China are in their infancy, but represent the framework for collaboration and cooperation for the certification of UAM in the future. 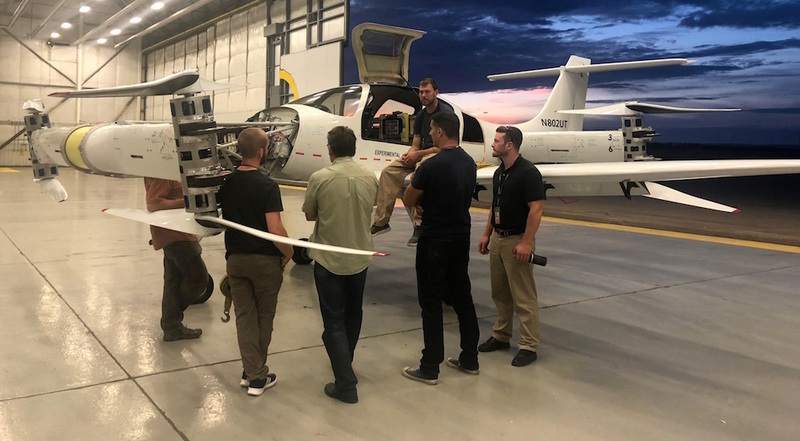 Kyle Clark, Founder of Beta Technologies, has been quietly accumulating top talent from GE, Scaled Composites, Lord/Microstrain, Aurora Flight Sciences and other companies on the cutting-edge of aviation technology to develop and test the Ava XC prototype aircraft. Until an undisclosed amount of funding was received from United Therapeutics last year, Beta had been in “stealth mode” for almost two years, prioritizing rapid prototyping and well over 170 test flights above a media presence. 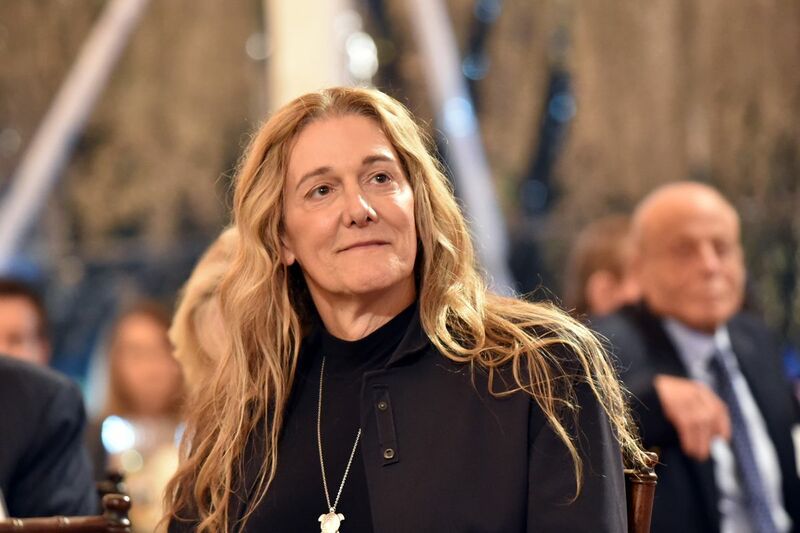 Beta Technologies teamed with United Therapeutics, a biotechnology company founded by Martine Rothblatt, to transport organs. The company, however, has additional goals beyond just emergency response. 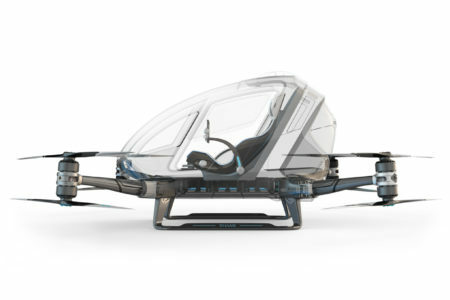 In a recent interview, Kyle explained how Beta envisions other uses for its eVTOL aircraft, beginning with an “aircraft that can fly within the current national airspace.” Beta is poised to first have a special R&D experimental airworthiness certificate for their vehicle, and eventually shape the way FAA regulatory changes are made to accommodate eVTOLs by gaining confidence with reliable and safe flight testing, according to Clark. 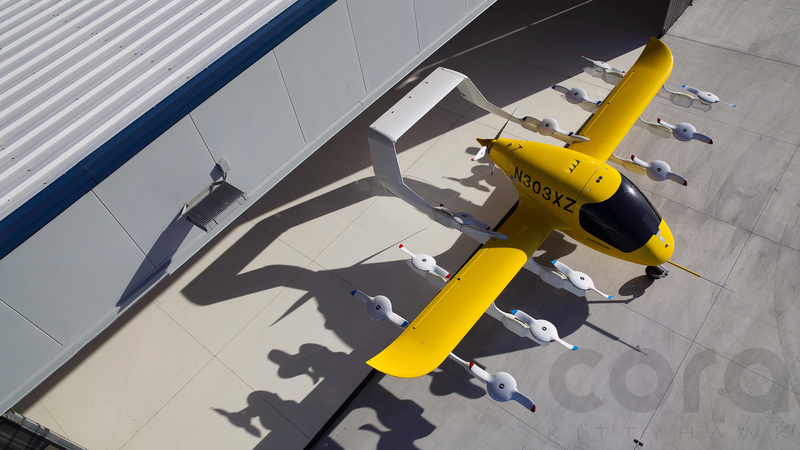 Ava XC is a fixed-wing eVTOL with eight propellers on 90-degree tilting nacelles which are powered by two 124 kWh lithium-ion battery packs. At first glance, Ava XC does not look too much different than a traditional winged aircraft, but Beta Technologies’ electric propulsion and battery-storage technologies are the driving force behind the design. For more about Ava XC and a video of the prototype during transition envelope testing, visit the Hangar. What differentiates Beta Technologies from many other eVTOL OEMs is their pursuit to also install charging stations at specific locations with “solar- and grid-powered recharging pad technology”. Clark claims that the technology will provide “frequency regulation (short term power) and voltage management” and will use reclaimed aircraft batteries to cut costs and recycle materials. So far, Beta has already built a megawatt-scale recharging pad in Vermont and has plans for 50 more across the East coast for ancillary grid and recharging services. 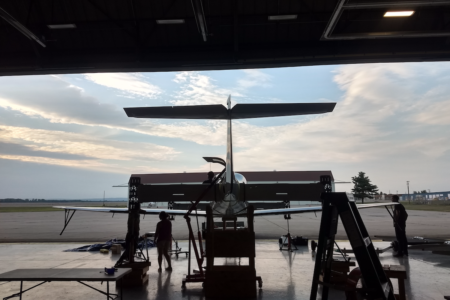 Why it’s important: Later this year, Beta Technologies plans to debut its production aircraft, a highly anticipated milestone for the company. Kyle Clark’s experience in power electronics could bode well for Beta’s future success. Further, Beta’s investment in the development of high-performance charging infrastructure has the potential to both give the company a long-term competitive edge and advance the electric aviation industry as a whole. On January 23rd, 2019, the Airworthiness Department of Civil Aviation Administration of China (CAAC) issued the Guidance on UAV Airworthiness Certification based on Operational Risks, aiming at establishing a risk-based UAV airworthiness management system by the end of 2019. A total of five Chinese UAV companies were authorized as pilots to initiate and develop different UAV programs in exploring airworthiness standards and certification methods for UAVs for transporting cargos, inspecting powerlines and carrying passengers. EHANG is a member of the CAAC specialized management group for civil UAVs, and also China’s first company on the world’s leading program for the piloting and testing of the cutting-edge passenger Autonomous Aerial Vehicles (AAV). EHANG is now one of a few AAV manufacturers involved in this pilot program. According to EHANG, the program is targeting completion at the end of 2019. In recent years the industry of civil UAVs has witnessed rapid growth in China. Beyond just aerial filming, the connection with 4G/5G network further expands various “UAV+” applications including logistics, smart city management, emergency rescue, urban air mobility, etc. Two days before the Guidance release on January 21st, China’s President Xi Jinping specifically emphasized the importance of accelerating the legislation process for UAV industry on the provincial and ministerial seminars. Meanwhile, the Guidance disclosed that China’s UAV airworthiness management system based on operational risks is to be established preliminarily by the end of 2019. The further technology development and business mode innovation promise the ultimate trend of incorporating UAVs into the current civil aviation system. In the near future, it is expected by CAAC that the UAV industry will eventually be on a par with the general aviation industry, or even replace some applications of current general aviation aircraft in certain fields. 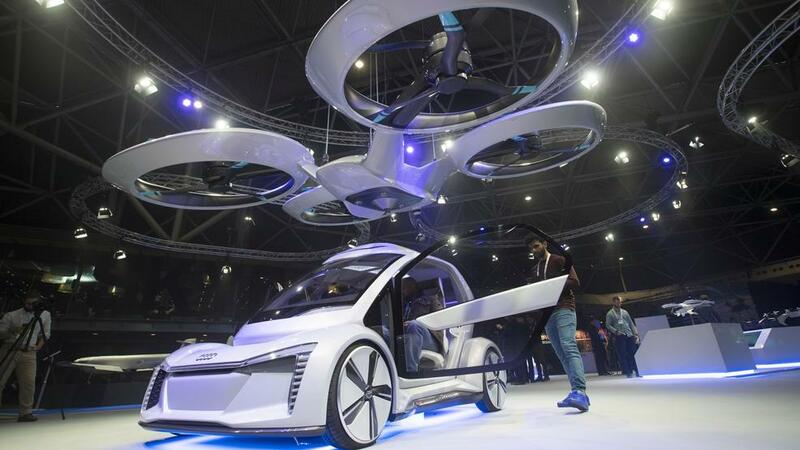 As the major program with CAAC authority attentions, EHANGS’s proprietarily-developed AAVs have the potential to influence the future of urban air mobility. The program will deploying in Guangzhou and Taizhou, a seaside city in Zhejiang Province in China, according to EHANG. Further, as the authorized pilot company, EHANG is able to set several pilot sites in other places in China. As test sites transfer to full-time operations centers, new test sites in different cities of China will be added to expand the transportation network. Why it’s important: EHANG’s participation in this pilot program will afford the opportunity for integration with the CAAC and an early look at a test data that regulators may use as either a benchmark or a lesson to be learned for future programs. 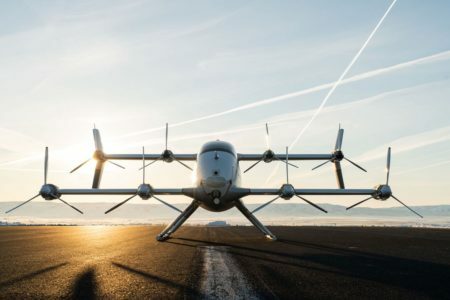 Additionally, the pilot program hosted by the CAAC is one of the first of its kind for eVTOL’s, and could also aid the industry as an early look toward the sustaining paths to certification, much as EASA is considering application of their Special Conditions for eVTOL Certification. EASA’s special condition was established in a similar spirit as recent amendments to EASA’s code of regulations have been established, such as CS-23, Amendment 5, which describes performance or objective based technical specifications. Flotation VTOL.2310: If certification for intended operations on water is requested, then the VTOL must provide buoyancy 80% in excess of the maximum required to support the vehicle in freshwater. Thrust/Lift System Operational Characteristics, VTOL.2425: If the safety benefit outweighs the hazard, the design must allow the shutdown and restart of a thrust/lift unit in flight within an established envelope. Thrust/Lift System Installation, Energy Storage and Distribution Systems, VTOL.2430: No fire of one system shall affect another system, energy storage system must not suffer critical failure during a survivable emergency landing. Thrust/Lift Installation Support Systems VTOL.2435: Any likely failures of the thrust/lift system that result in a critical malfunction of thrust/lift must be mitigated. Installation of Recorders VTOL.2555: specifies that a recorder must be installed that provides “accurate and intelligible recording and safe gaurding of the data supportive for accident investigation, considering the conditions encountered during the crash…” Nowhere included are the specific requirements other than this data. High Intensity Radio Frequency (HIRF) Protection Provisions, VTOL.2520: General requirements for lack of critical systems malfunction while exposed to HIRF, and suitable restart time delay should HIRF be encountered in higher-than expected volumes. Why it’s important: The approach that EASA is adopting for UAM certification is fundamentally different than some other regulatory bodies, including the FAA. 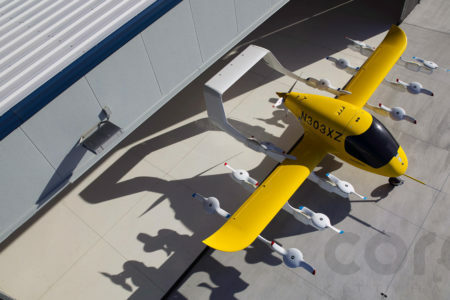 While CFR Part 23 should not require significant restructuring to allow for the certification of eVTOL’s, EASA is indicating with the issuance of their special conditions that a more tailed approach to certification may be more advantageous, despite the additional effort required to stand up this regulatory framework. 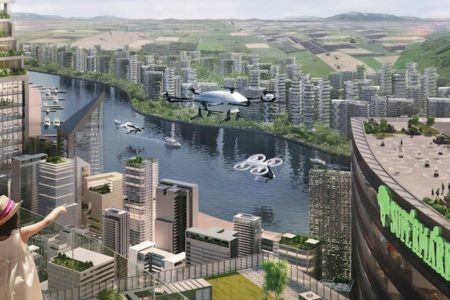 The results are in and Airbus claimed that, overall, 44.5% percent of people’s initial reaction to Urban Air Mobility initiatives is positive. The goal of this survey was to obtain an understanding of the public’s general opinion, concerns, and attitudes toward this new and growing segment of the aerospace market. To conduct this study, Airbus questioned residents in Mexico City, Los Angeles, Switzerland, and New Zealand – all cities that are forward-thinking in the realm of technological innovation, burdened by heavy traffic and congestion, or both. Example of a scenario from the Airbus survey. Mexico City had the highest claimed likelihood to use UAM at 67%. Not surprisingly, the groups with the longest average commute times were also determined to be most likely to use UAM. Age and income were also influential factors in determining respondents’ views of UAM as well. 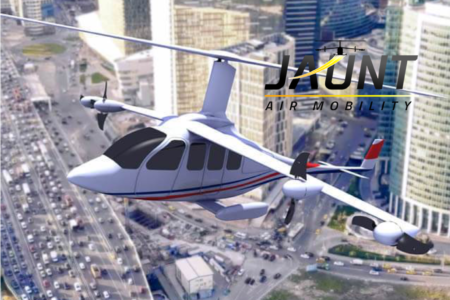 The demographic with most positive reactions and acceptance toward air taxis were in the 24-35 age range, with 55% having a positive view of UAM, while the 74-85 age range had the least positive initial reaction. In Los Angeles, those with an annual income above $150,000 were the most supportive of the future use of UAM. The highest priority concern of the surveyed communities was found to be safety, with 55.6% of responses including it as a concern. Second highest in the concerns was noise, and third was the altitude and frequency of fly-overs, likely driven by the noise byproduct as well. Interestingly, the item of least concern to the survey population is the landing spot of the aircraft – this is arguably the top concern when evaluating the feasibility of UAM from an infrastructure perspective. Why it’s important: By initiating this survey, Airbus has begun to test the potential market for UAM. The UAM technology itself has long been the lowest barrier to breaking open the urban aviation industry – instead, the industry depends on positive public sentiment and acceptance of the technology in one’s daily life. In other words, the technology could be present, yet if public utilization would be low due to safety, noise, or other concerns, it may not be feasible to develop the infrastructure. Airbus is raising questions crucial to understanding what it will take to integrate UAM as an accepted transportation method around the world, and, in doing so, is helping the industry as a whole. Hoversurf, the maker of the acclaimed Hoversurf Hoverbike, has begun a new video blog discussing urban air mobility. 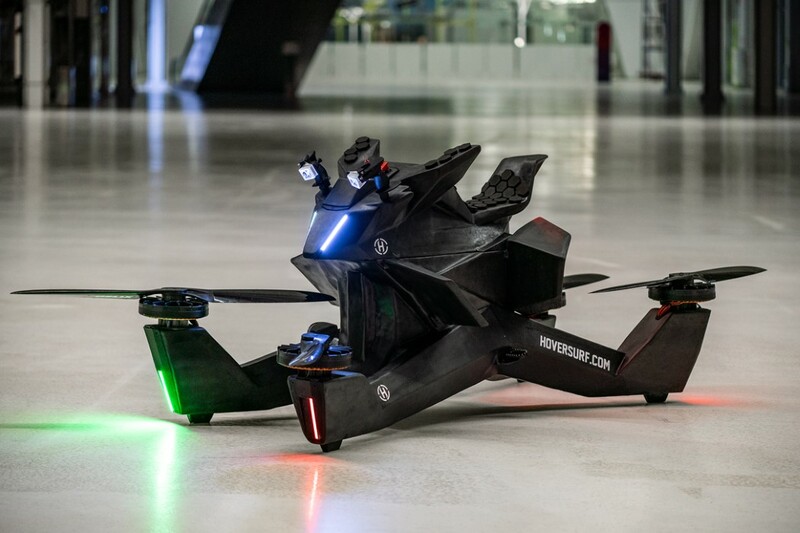 Hoversurf began delivering its Hoverbike to customers in September of 2018, starting with the Dubai police force. 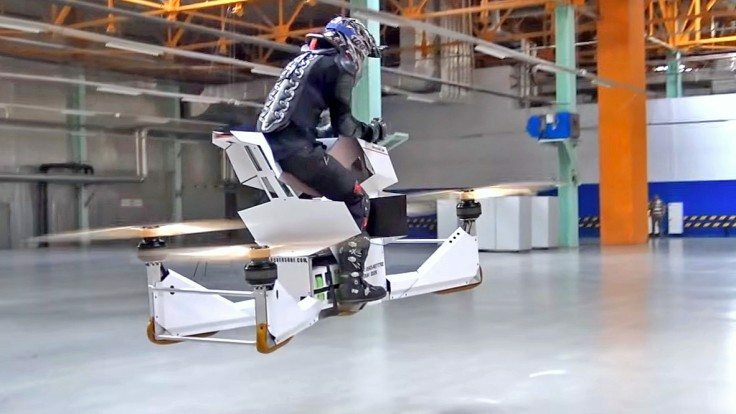 Read more about the latest news from Hoversurf here. Airbus has created the blueprint for Airbus Altiscope, and airspace management system that envisions the future of urban airspace. Airbus Altiscope envisions that future airspace will include vehicles of all kinds ranging from delivery drones to air taxis. Primarily, it understands that much of airspace management will be automated, with humans only acting as oversight managers. In Airbus’s view, this change will be absolutely necessary given the prediction that air travel will increase tenfold by 2030. While the full Airbus Altiscope blueprint is a 30 pages, the introduction video from Airbus gives a brief example of how airspace might work in the 2030s. 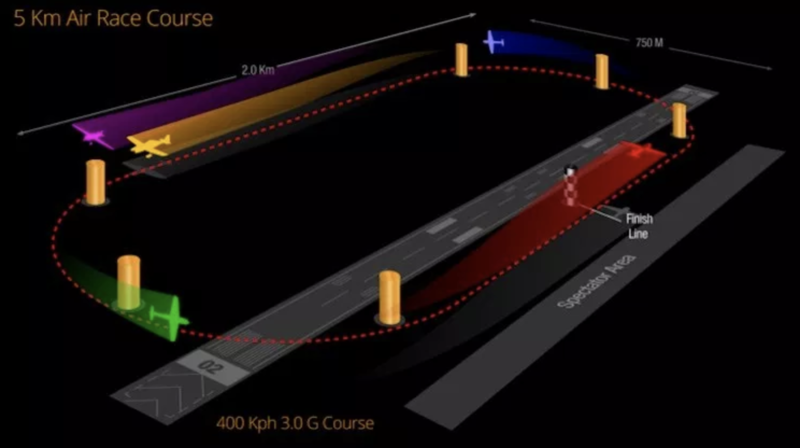 According to Airbus, autonomous guidance systems will be able to re-arrange the multitude types of air traffic according to changing needs such sporting events. In this situation, media drones would be given certain from which to operate, air taxis would be rerouted to accommodate the event, and medical air vehicles would be given priority. The main point is that this system could successfully manage a great number of aircraft at once. Why it’s important: With the Altiscope blueprint, Airbus is joining the effort of many other companies to build out future airspace. Both NASA and the FAA are working on conducting UAM testing, and Boeing has worked with AI firm Sparkcognition to found SkyGrid. AirMap, a company based in Santa Monica, has already begun using software to manage commercial and recreational drone flights. 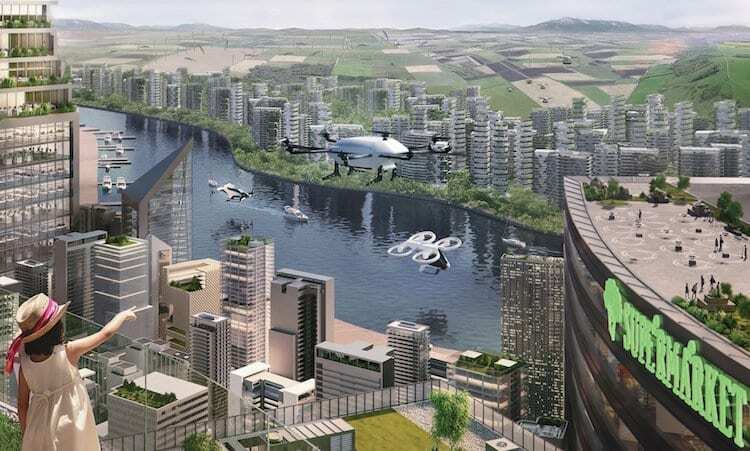 As the industry grows, it is becoming more apparent that software-based airspace management will be crucial to the urban air mobility market. 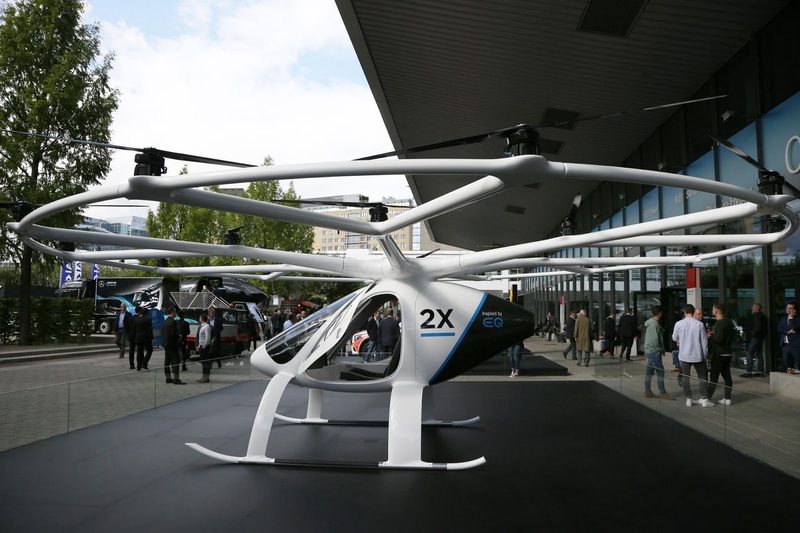 Frankfurt Airport is partnering with Volocopter in building the ground infrastructure and operations for electric air taxi services. 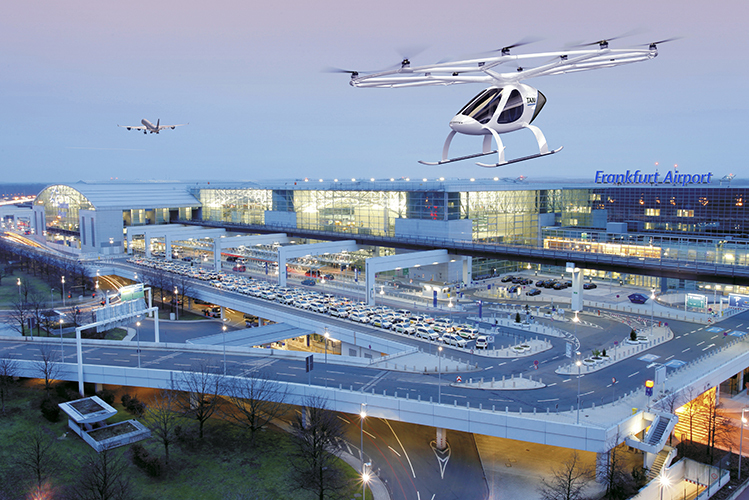 Frankfurt Airport and Volocopter envision passengers using Volocopter air taxis to transition from other transportation hubs to the Frankfurt Airport, and vice Versa. The current focus is planning for smooth passenger handling on the ground and efficient integration into the existing transport infrastructure. The two companies will examine these cases with the potential integration of a Volocopter Port. Why it’s important: The Frankfurt International Airport is one of the many companies the world over beginning to integrate electric air taxi services into their building designs. Others include Paramount World Center in Miami, BLADE, the VRCO landing pad in the UK, the Taskers residential development in Australia, and more. These developments indicate that building UAM infrastructure will likely be nearly as great an industry as manufacturing the vehicles themselves. 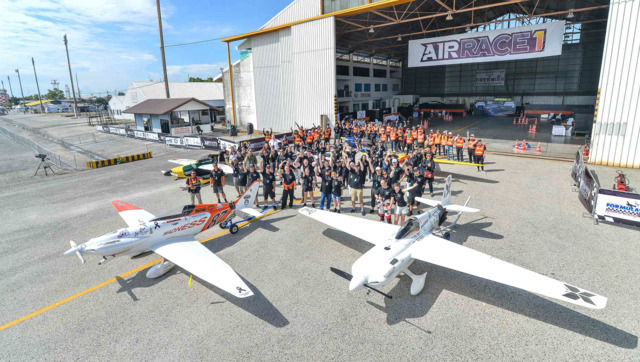 Airbus has recently signed on as a partner to Air Race E, which will host the world’s first electric air race series in 2020. 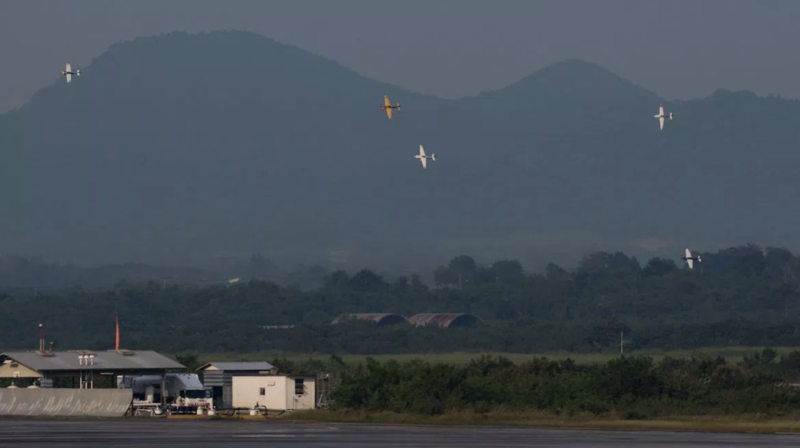 Photo of an Air Race 1 series, which many know as formula one air racing. The Air Race E series will follow a similar format. Air Race E was created under Air Race Events, the same company that created the Air Race 1 series that many know as formula one air racing. In this sport, eight participant airplanes race around a 5km oval circuit at just 10 meters off the ground. Blueprint of an Air Race 1 race course, which will also be used for Air Race E.
By testing these new technologies, Airbus most likely also hopes to push its urban air mobility capabilities forward as well. In November of 2018 at Drone Week Amsterdam, Airbus showcased the prototype of the modular vehicle Pop.Up Next, and last February it successfully flew the Airbus Vahana prototype. Airbus Pop.up mock-up at Drone Week Amsterdam 2018. 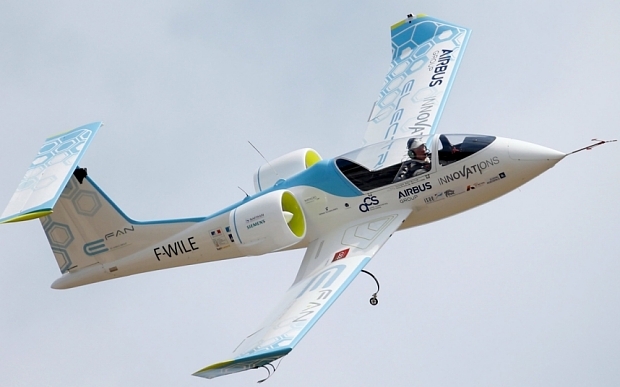 In the past, Airbus has made other forays into electric aircraft. In 2015, it hosted the E-Fan project, which focused on building an electric aircraft to successfully cross the English channel. Since then, E-Fan leader and former CTO of Airbus John Botti left Airbus to work on the Voltaero hybrid electric aircraft. You can hear TransportUP’s podcast with Johnn Botti here. Why it’s important: The development of urban air mobility requires tremendous growth in the electric aircraft manufacturing industry. Electric aircraft have a slew of new mechanical, aerodynamic, and legal requirements. By helping to put more electric aircraft in the air, Airbus is investing in research and technology that will greatly push forward electric urban air mobility. 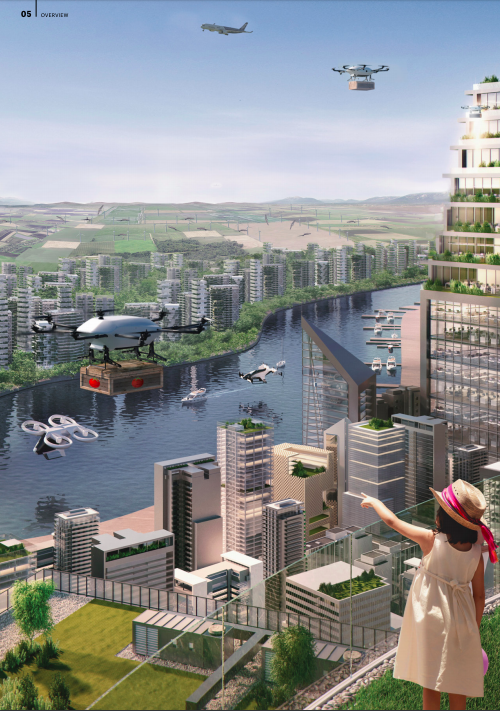 Will Airbnb Enter the Flying Car Industry? This article appeared first in Fast Company, written by Ruth Reader. In 2017, Brian Chesky, CEO of home-sharing company Airbnb, pondered what the perfect flight experience would look like. Now he may finally get it. 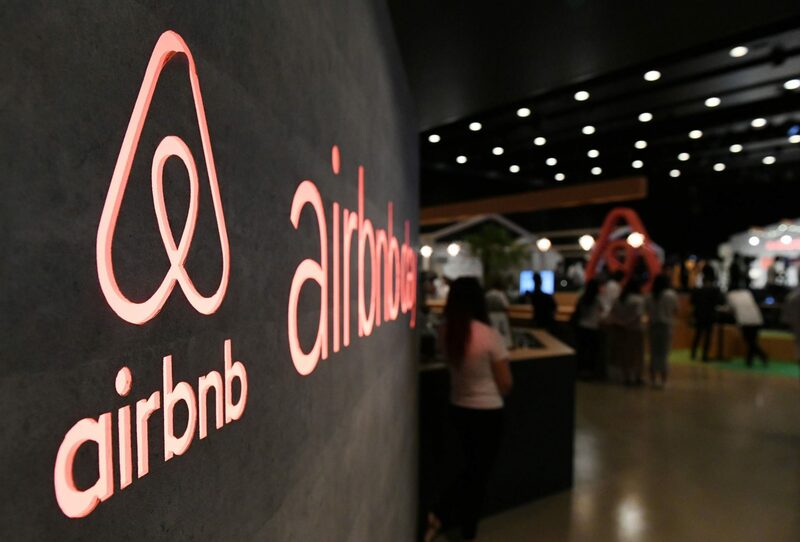 Airbnb has hired Fred Reid, an executive with deep airline and aviation experience, to head up the company’s global transportation efforts. Reid, former CEO of Virgin America, most recently led a unit at commercial aviation startup Kitty Hawk devoted to building an autonomous and electric vertical takeoff and landing aircraft; Cora. Rumors of Airbnb’s flight ambitions first made headlines at the end of 2016. The company was reportedly considering a dabble in flight booking. There were also discussions to acquire a flight booking app and sketched drawings of Airbnb’s logo on planes, according to the Information. Around the same time, Chesky queried the masses on what the ideal flight might look like. In addition to flights, Airbnb has kicked around the idea of connecting travelers with ground transport–anything from a car to pick you up at the airport to rentals or car shares. Ultimately, Chesky wants Airbnb to be what he calls an “end-to-end travel platform,” essentially a place where people can book all legs of a trip (a way to get there, a place to stay, stuff to do, and a way to get around). Airbnb insists it is not creating its own airline or transportation services. Instead, Reid will be in charge of forming relationships with travel companies that might eventually provide services–like flights–on Airbnb’s network. What will that look like? Perhaps something like Experiences, Airbnb’s activity booking section. Unlike Homes, where just about anyone can post a rental, Experiences offers a more curated selection of services. “Part of the lesson I learned from Homes was: Curate the marketplace, manage it more, people have to qualify, we have to prove everybody,” Chesky told Fast Company last year. What that has meant for the company is sifting through thousands of applications, approving a small percentage, and in certain cases helping to develop experiences with third parties. That same wisdom is likely to marshal Airbnb’s approach to bringing transportation services onto its platform. Expect an emphasis on quality and uniqueness. In the last two years, Experiences has seen big growth. Since last year, Experiences has gone from 60 cities to 1,000 cities. There are now nearly 24,000 Experiences on Airbnb, the company says. The platform as a whole is also getting bigger. There are 5 million places to stay on Airbnb, and the company expects to hit 500 million guest arrivals through its platform by the end of the first quarter 2019. At the beginning of 2017, the company had completed 146 million guest arrivals. 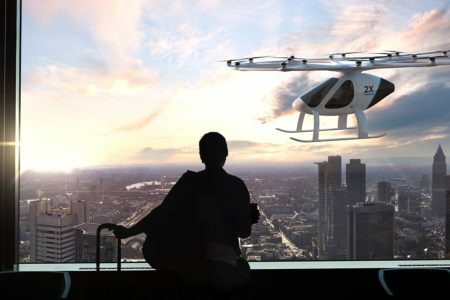 Why it’s important: While AirBnB hasn’t committed to any plans or announced official work to enter the urban air mobility industry, the company’s ever increasing push to offer more than just lodging to its customers has brought the advent of “experiences”. What the company decides to do next is still up in the air – but that’s exactly where it might stay.